To login, please make sure the login tab is set to 'Windows Login'. 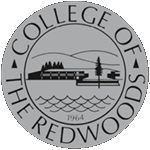 Enter your CR email credentials, without the @redwoods.edu (ex. Wilma-Stoke), and your CR password. Once you are logged in, you should be able to make comments on pages, or edit information (whatever permissions that you've been granted).